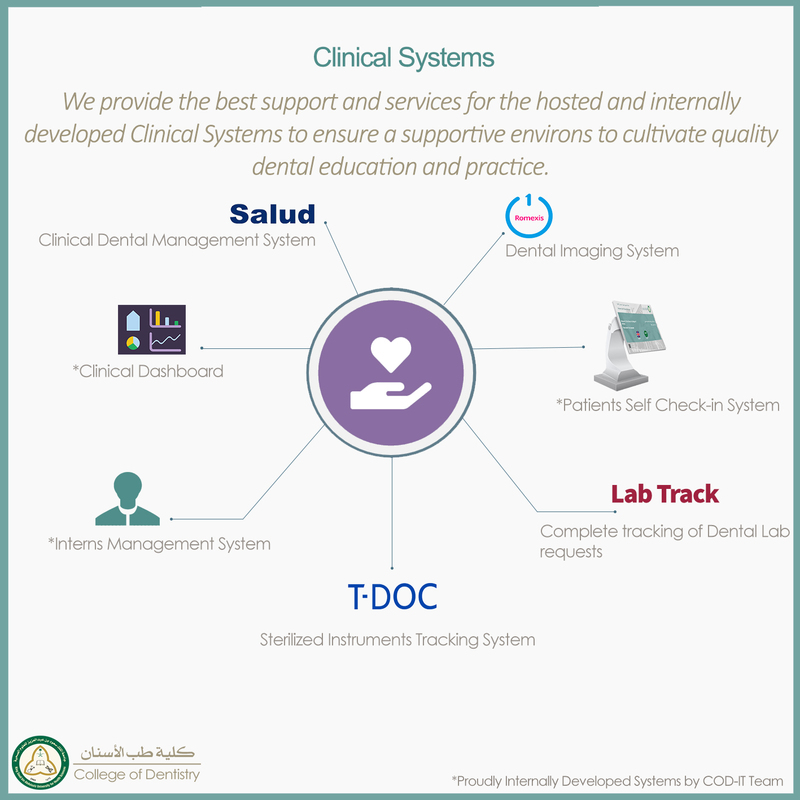 We are a group of diligent professionals work together in COD-IT, to provide the best support and services to facilitates the faculties, student, staff and patient, in order to meet College of Dentistry & University mission. To create an excellent learning environment. To ensure a supportive environs to cultivate quality dental education and practice. To ease the process of clinical and academic education to achieve operational excellence. 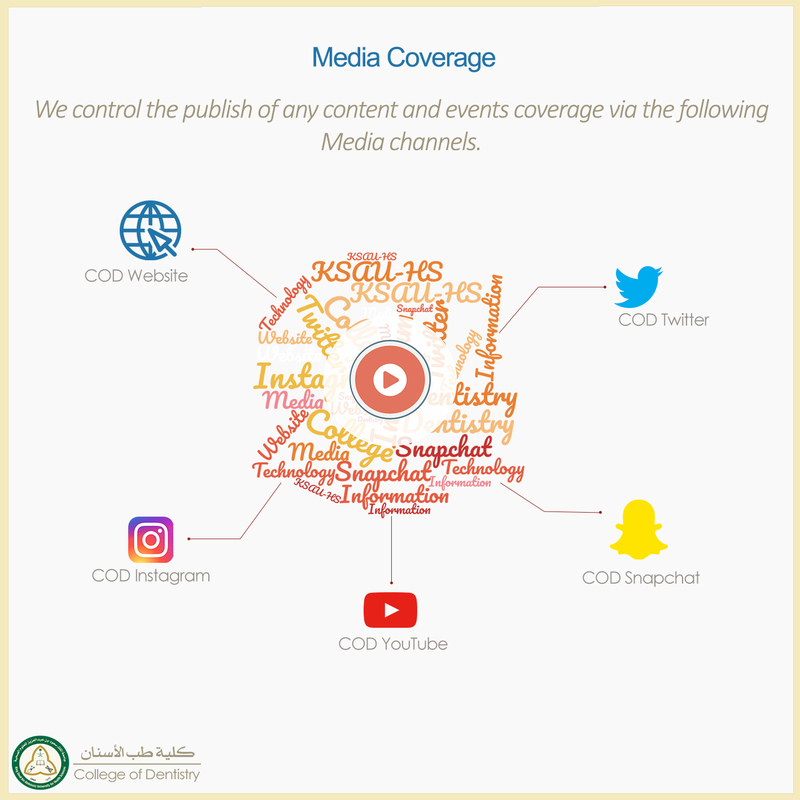 To control the publish of any content and events coverage via Media channels. Check Out Our AMAZING Achievements! Questions & Answers you might find beneficial. Or Thru the COD Website: http://cod.ksau-hs.edu.sa/ under E-Services in the menu (after login). Ans: Yes, you can go to http://cod.ksau-hs.edu.sa/ under E-Services in the menu (after login) to access Blackboard. Ans: Open Mediasite link from College of Dentistry (http://cod.ksau-hs.edu.sa) website under E-Services (after login) to access Mediasite portal. User must have an access on Mediasite. College of Dentistry. Ground Floor. IT Suite.